A new study published in the journal Science has found consuming more dietary fiber can help in the fight against Type 2 diabetes, by promoting a group of healthy gut bacteria. A high-fiber diet is healthier than you thought. A diet rich in fiber promotes a group of healthy gut bacteria. The healthy bacteria fight microbes that hinder metabolism. Although a diet high in fibre has increasingly come to be hailed as one that aides quicker weight loss, its benefits are manifold. For one, it promotes a healthier gut, and for another, it may even help treat diabetes! A new study published in the journal Science has found consuming more dietary fiber can help in the fight against Type 2 diabetes, by promoting a group of healthy gut bacteria. The research findings said that a diversified high-fiber diet can promote some 15 strains gut bacteria that produce short-chain fatty acids or SCFA. The SCFA can help in reducing inflammation in the gut, help regulate hunger and also provide energy to gut cells. The study's lead author Liping Zhao, Professor at the Rutgers University-New Brunswick said, "Our study lays the foundation and opens the possibility that fibres targeting this group of gut bacteria could eventually become a major part of your diet and your treatment." The research has reinforced the fact that eating certain kinds of dietary fibers can help restore the gut microbiota or the ecosystem of bacteria in the gastrointenstinal tract that is responsible for better digestion of food and also improving the overall health of the body. Researchers have found evidence that promotion of a particular type of gut microbes through consumption of diverse fibers can lead to better blood glucose control and even lead to greater weight loss and better lipid levels in patients of Type-2 diabetes. 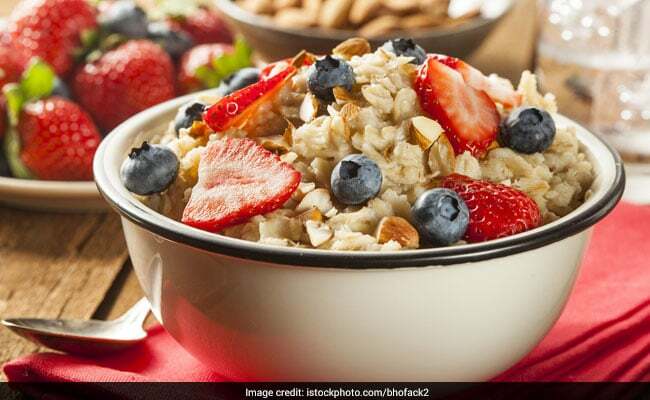 The results of the high-fiber diet on diabetic patients were observed over a period of three months and they were telling. Their blood glucose levels fell faster and they also showcased greater reduction of weight. Scientists have identified 15 SCFA-producing strains that are specifically promoted by fibrous foods. These bacteria act as a guild and augment SCFA production which results in better gut health. These bacteria compete with harmful microbes that release compounds that hinder metabolism.